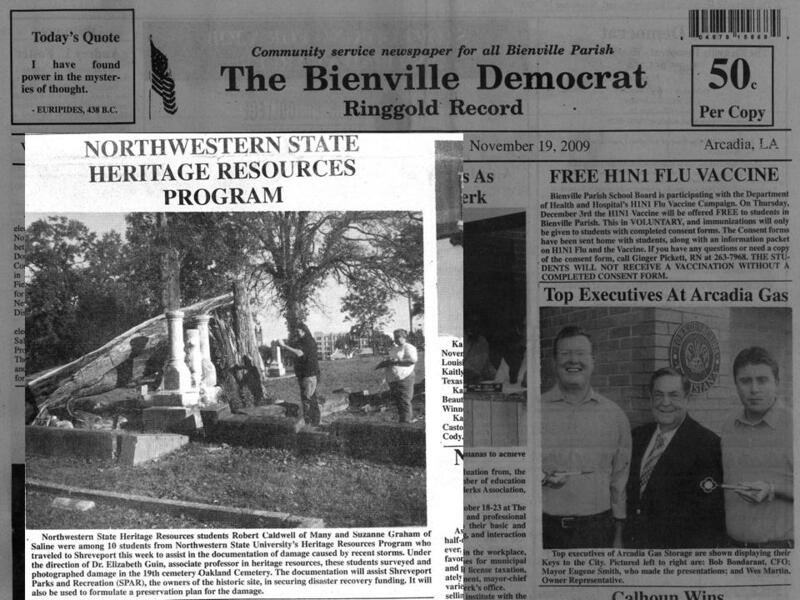 A Summer 2010 trip to Nacogdoches to do research on descendants of Los Adaes brought me to the East Texas Research Center where I met with Peggy Jasso, a Texas genealogist specializing in old Spanish and mestizo families.I searched land records and poured through old Spanish documents translated in the E.B. Blake Collection. 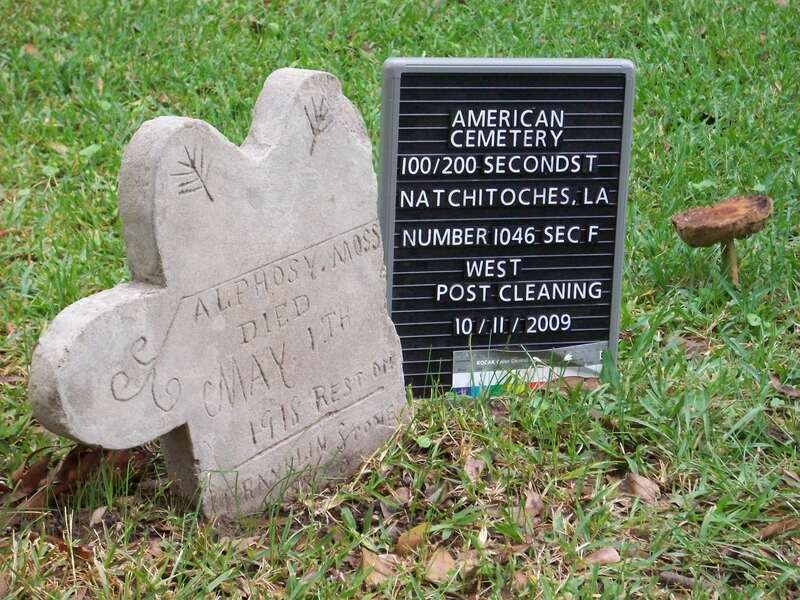 I visited rural communities and a number the older cemeteries. In the course of visiting these communities with Dr. George Avery, an archaeologist at Stephen F. Austin University, we had the pleasure of meeting good contacts for follow up ethnographic fieldwork regarding life along the old El Camino Real. Dr. Avery introduced me to the pre-historic and historic archaeology of the area. Before returning home, I saw Old Stone Fort, Mission Delores and stopped for inspiration at El Lobanillo, the site of Gil Ybarbo’s ranch on the Texas side of the Sabine River. 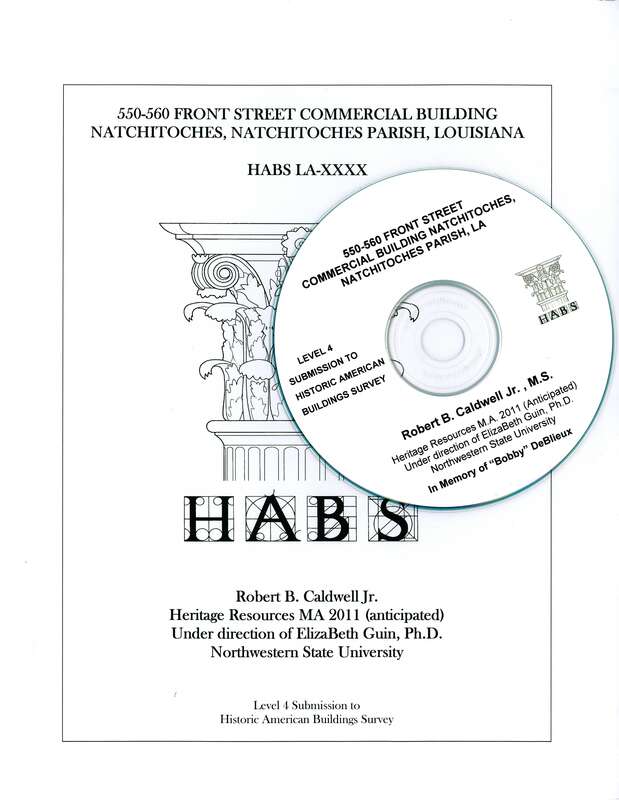 In Fall 2009, I conducted background research regarding Natchitoches’ 1927 Texas and Pacific Railroad Depot. The Depot represents the shift from riverboat transportation to rail and the hegemony of Natchitoches’ town elite over downriver Creole planters and more rural Anglo settlers. 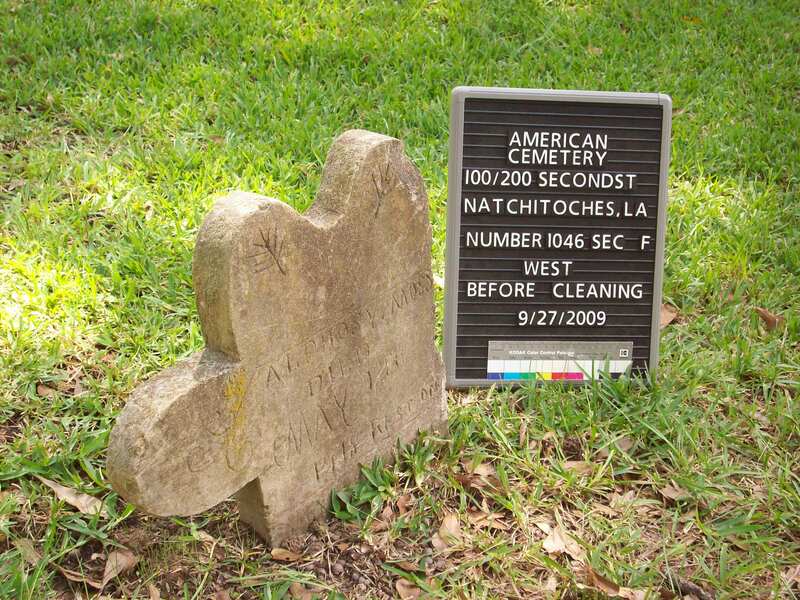 Initially the Texas & Pacific line circumvented Natchitoches. Instead of allowing Prudhomme (Cypress, LA,) Marthaville, or Robeline to become the premier main rail hub in the Parish, Natchitoches businessmen created a new joint stock company to build a “tap line” to bring rail access to the town. The Texas & Pacific Railway constructed the two-storied brick depot after securing that “tap line” and integrating Natchitoches as part of their main line. The depot’s architect , F. G. Shaw, drew on Spanish and colonial themes, reportedly to honor Natchitoches founder St. Denis’s Spanish wife. 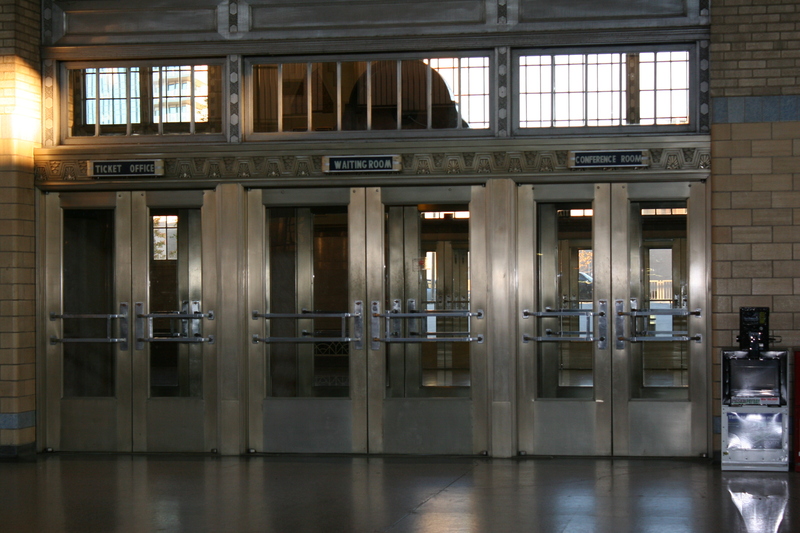 The beams and windows of the main waiting room are influenced by the architect’s imagination of the master’s cabin of Christopher Columbus the Santa Mari and the chandeliers were modeled after the hilt of the sword worn by St. Denis. Natchitoches’ Jim Crow segregation is evident in the building’s design. 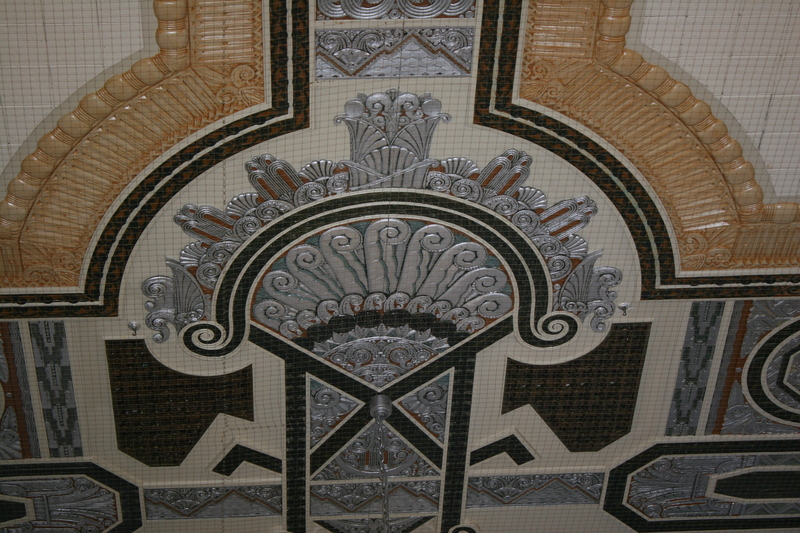 The large central hall was the white waiting area. One, smaller, side wing was the black waiting area, while the other side was used for freight. 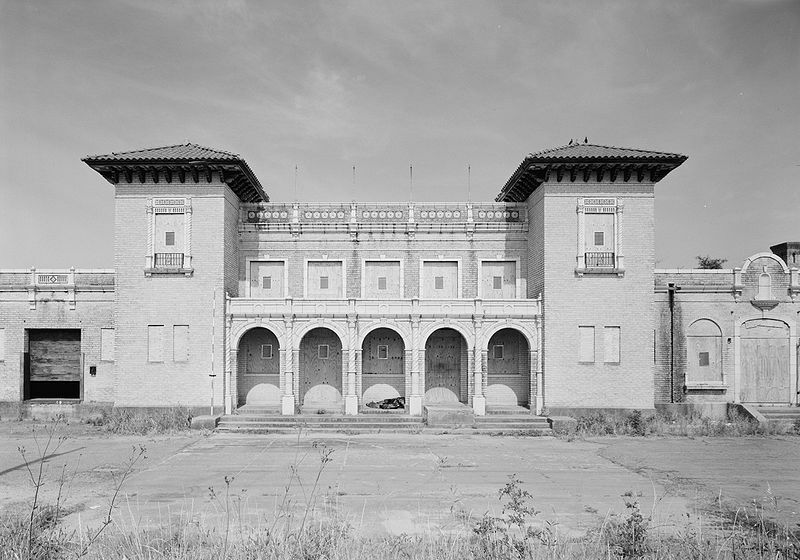 Once restored, the building is ideal for an African American and/or Civil Rights museum. Research on the history and context of the Texas and Pacific Railroad brought me to Dallas/ Fort Worth. En route I visited the restored 1912 T&P station in Marshall, TX (still in use as an Amtrak station) and the restored 1912 era T&P Depot (Amtrak Station) and Texas and Pacific Railway Museum. 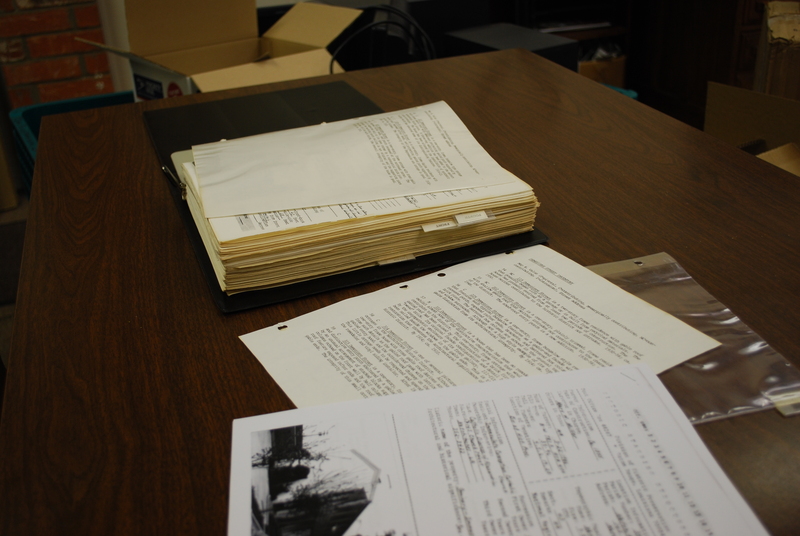 I did archival research at SMU’s DeGoyer Library and visited U.T. Arlington. 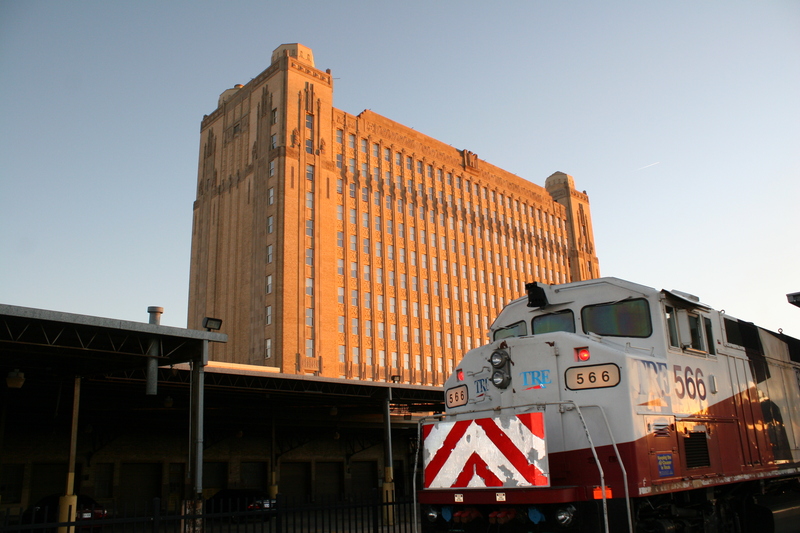 I rode the Trinity Railway from downtown Dallas to the magnificent 1931 T&P station where I photo documented the building’s architecture.